This item has been downloaded 386 times. 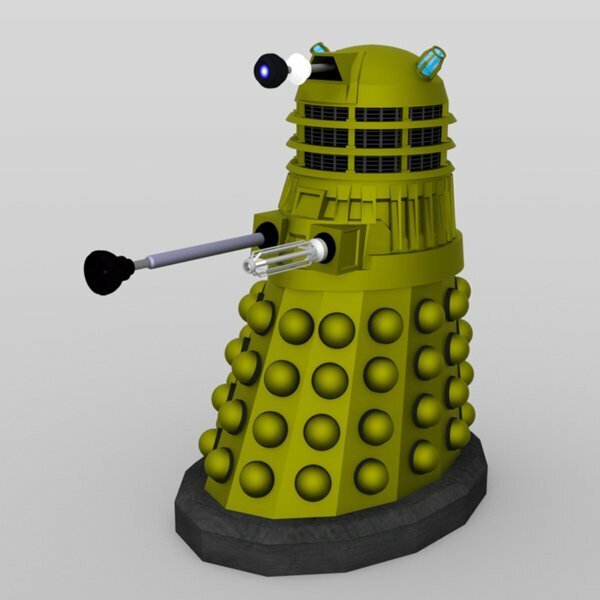 A fully posable Dalek figure, based on the ones seen in the current Doctor Who TV series. • Includes one DAZ Prop (dsf, duf/ png), with 19,756 polygons. - Head rotates around, with a pose dial on the Body. - Midsection rotates, with a pose dial on the Body. - Eye stalk can rotate up/ down and left/ right, with pose dials on the Body. 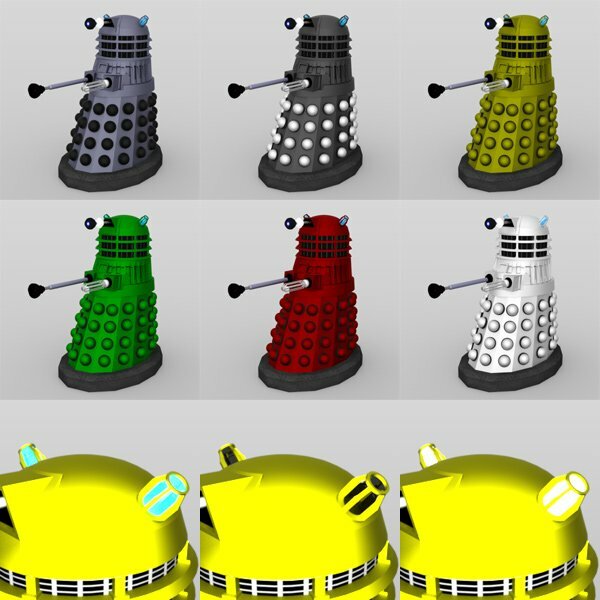 - Plunger arm can rotate up/ down and left/ right, with pose dials on the Body. - Plunger extends, with a pose dial on the Body. - Gun arm can rotate up/ down and left/ right, with a pose dial on the Body. • Texture maps for the base and eye. • All materials use Iray shaders.